I’m sure you’ve already watched the teaser for The Last Jedi a hundred times, but I just wanted to make sure. I’ve watched it quite a few times myself. In short, I like it. It’s a Star Wars movie. Of course I like it. That said, it didn’t have quite the same impact as the first teaser for The Force Awakens did, at least for me. The Force Awakens was the first real Star Wars movie in a long time. A long time. So, it was more of a big deal to me. And no, I didn’t have the same feelings about Rogue One either. The move itself was okay, but it was hard to make much of a connection to any of the characters and the story was, well, lacking in some areas. I still enjoyed it, but in my mind it’s more of a whimsical diversion and will never be a real Star Wars movie. Fight me. But The Force Awakens had Han Solo, Luke Skywalker and Princess/General Leia in it and looked, felt and smelled like a real Star Wars movie. So naturally, as those are the characters and story I grew up with and loved since that first dark Valley Circle, CA theater in 1977, those were the characters and story I was, and am, most interested and excited about. I don’t see that changing any time soon. Don’t get me wrong, I like the new characters, especially Rey and Poe. And perhaps if I was seeing these movies for the first time as that kid who saw the first Star Wars, I might feel differently. I’m pretty sure I would. But it’s just not the same. It can’t be. And that’s not to say The Last Jedi won’t be great. I’m sure it will. Once the movie hits and I get a chance to see it, I have no doubt I’ll love it. Will I love it as much as the original trilogy? Not on your life. And that’s okay. I’ve always got my copies of the original, un-altered trilogy to watch. In fact, I think it’s about time for a rewatch. 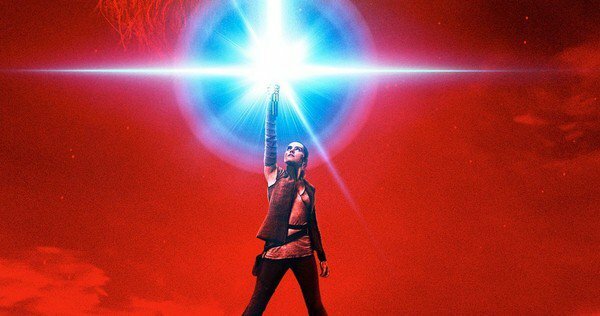 This entry was posted in Cool Stuff, Geek, Movies, Star Wars, Trailers and tagged Carrie Fisher, Gareth Edwards, Harrison Ford, Mark Hamill, Progress, Rian Johnson, Star Wars, The Last Jedi. Bookmark the permalink.